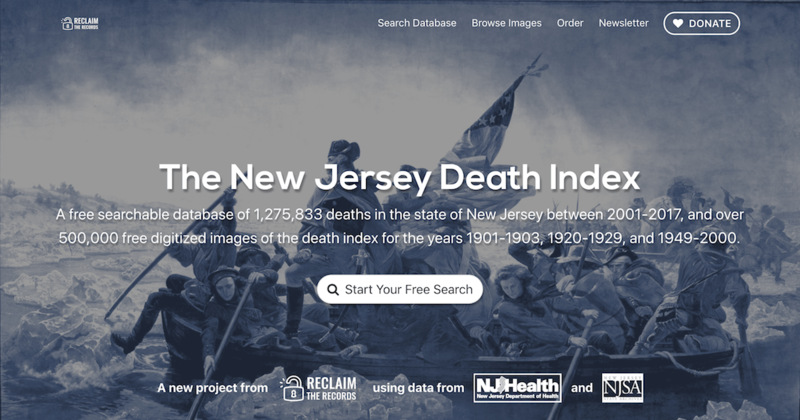 Our client, Reclaim the Records, just published a newsletter explaining how PSWH partner CJ Griffin helped the organization gain access to New Jersey’s Death Index. Reclaim The Records is a not-for-profit activist group of genealogists, historians, researchers, and journalists. It works to identify important genealogical record sets that are not online anywhere and not broadly available to the public. Through public records laws, it works to obtain copies of the records and then digitizes them and puts them online for free use. We are always excited to see the creative ways that our clients use the data and records that we help them obtain. Reclaim The Records has provided this great free service to the public, which will no doubt help those who are performing genealogical research about their own families.